Sytrus is one of my favorite native FL Studio plugins. It is a very versatile FM (frequency modulation), additive, and subtractive synthesizer. This Sytrus tutorial post will focus solely on designing an epic trance lead. Lets get started! Add a Sytrus channel to the channel rack and select the default preset from the list of presets. Bring the Channel rack to the front of your screen. Click the white plus at the bottom left of your Channel rack. Find and click Sytrus from the list of plugins. 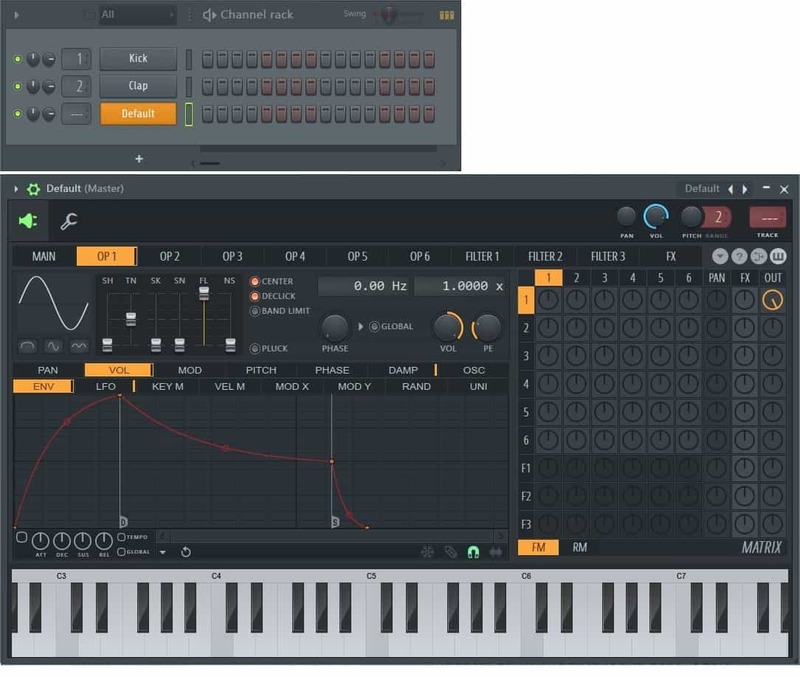 FL Studio will add a Sytrus channel to your Channel rack and open a new window showing the Sytrus interface. At the top right of your Sytrus window, you will see the word “Presets” along with two arrows. Click on “Presets”. A large list of presets will open. Find and click the “Default” preset. Set the timbre of OP 1, OP 2, and OP 3 to a saw waveshape. Do this by moving the slider labeled SH for shape up until it snaps to the halfway mark. Make sure CENTER and DECLICK are checked while you’re on each tab. Set OP 1 frequency ratio to 0.4950x, OP 2 frequency ratio to 1.0000x and OP 3 frequency ratio to 2.0050x. This is called detuning since we are not using exact harmonic multiples for each oscillator. It gives the synth a more interesting sound. In the FX tab, reduce chorus order ORD to 1. Leave the other sliders under chorus at their defaults. In the FX tab, you’ll also see four other sub tabs labeled D1, D2, D3, and R. These are for adding delay and reverb. Click R, make sure the ON and TEMPO buttons are checked, set COLOR to W+ and set your reverb sliders to match the picture below. On the MAIN tab, we can see a section named “UNISON”. Check the OSC button and change unison order to 9. Slide PN, VL, SB, and PH all the way up, slide EN all the way down, and slide PT to 80% as shown. The last step is to let the sound out, so to speak. 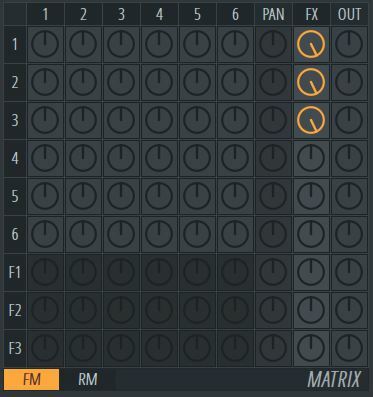 Under the MAIN tab and to the right, turn the knobs in the FM matrix at the intersections of the FX column and rows 1, 2 and 3 all the way to the right as shown. You’ve now got a pretty nice trance lead synth to add to your FL Studio arsenal.If you liked this 100% free FL Studio tutorial, let me know what else you’d like me to cover in the comments, on the Synaptic Sound Facebook page, or YouTube channel!